Category Archives for "Reading Comprehension"
Everything I’m about to say will seem ridiculously absurd to a lot of people, especially those in education who honestly aren’t that smart (or educated). Home educators have a decided advantage since they are not interested in a ‘percentage’ of students graduating from home college and life ready. 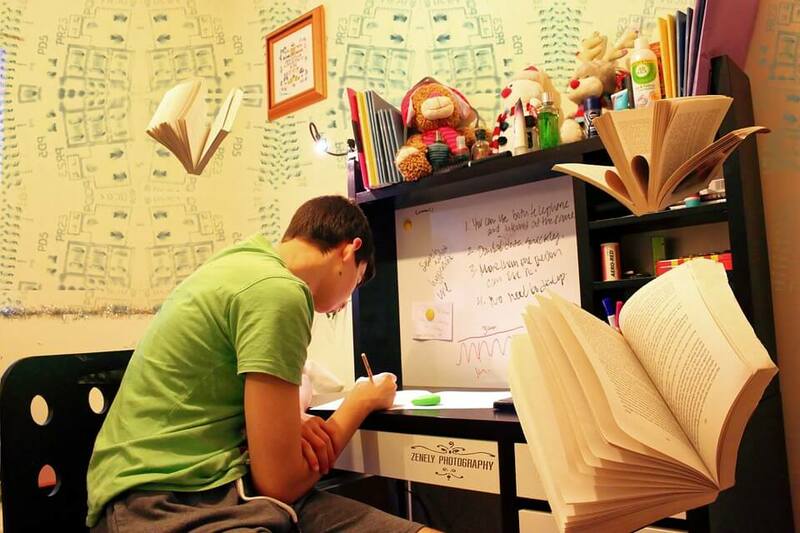 For most homeschool families it’s 100%…we just aim for every student to succeed. Even if these statistics are dated, we know that things aren’t any better. The simple fact is that educators either don’t know what they are doing OR they are unable to do what they need to do because of the constraints in the system. My simple premise as an educator and the father of 5 Fine Readers is that we have missed the point that COMPREHENSION is actually all that matters. Take a moment and ponder: Does it really matter how fast or slow your child reads if she can’t understand the content? The honest issue is comprehension speed. 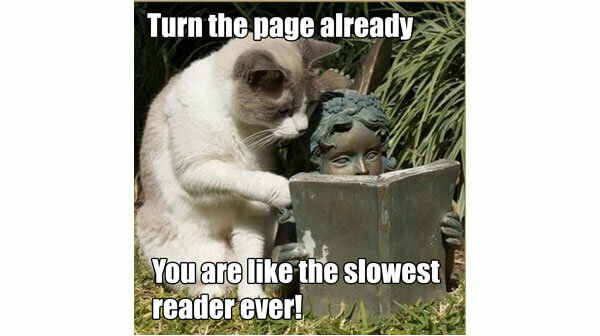 If your child is reading slow it is most likely because he is not understanding what he is reading. That’s where reading things over-and-over comes in to the story. Plus, vocabulary, reading way too slowly, learning challenges, lack of focus, etc., come into play. The real focus every home educator should have (and public/private educator as well) is, “Do you understand what you are reading?” If they don’t understand it, then they are just swooshing their eyes over the words. While we all have an instinct for language, it is rather easy to not understand what’s going on. Haven’t you misunderstood someone’s point (or a joke’s punchline) before? The reason we often miss these things is that we have some other story line bumping along in our heads. We mistake words and then create some other story about what was said. Usually this is about poor habits or skills in putting together the information. Our Mastering Reading Course (see above menu) provides a very specific series of exercises designed to “Hook Up” almost anyone’s brain for reading. Frankly, it is exactly what happens naturally when a fine reader develops. I dare you to try this for 5 days in a row! I also dare you to see what an amazing course of study we’ve developed to give all students the gift of UNDERSTANDING what they read. I get it--- you are busy doing life and doing work, but you probably don't realize how much time and impact it can have just to move your reading skill up a notch or two. It's even more profound with students...staying weak at reading means staying weak in both college and career. Often we just need some motivation to start working on improving, so here are 10 Reasons improving your ability to read and comprehend is worth it. There are stories that you'll know which prove each of these points...just think a little. On balance, all this means is that it's more strategic to read better than to read more. Think about it: If you can't comprehend what you are reading, then it doesn't matter how much you read. Like typing, working on your speed can save you a massive amount of accumulated time. However, reading more effectively does even more. It isn't speed-reading that you need, it's speed-understanding. When you read effectively you can access the knowledge to change your world (and you'll have a ready-cure for all boredom in life). 1. Start reading and discussing the same book with a friend or group of friends. 2. Practice: Stop every 5 pages when you read and repeat the basic points you just covered out loud (this part is important). Just a few times a day will make a difference. So Why Don’t We Finish the Books We Start? So, I’m sitting here at my desk and I’m looking around my office of about 1400 books (another few thousand) are in the garage in boxes (yes, it is possible that I have an addiction). As I look at them, I realize that some of them I have never read and some of them I have read two or three times. Why would I buy a book and not read it? Why, in fact, would you buy a book (Kindle counts) and not read it? The answer is really simple…it isn’t interesting to you. I know you have been thinking it is about discipline, but why in the world would you be obligated to read a book just because you bought it? Well, Dr. Lybrand, it’s a waste if we don’t read books we buy. Really? I’m thinking many of us would be better off intellectually if we had skipped Twilight (even if we bought it). Also, you don’t think it is a waste to not watch every show on TV/Cable, etc. [if that’s your thing], do you? Most of us haven’t come to grips with a reality about our reading— if the book isn’t worth reading to you, then don’t read it (not saying the kids shouldn’t read their school books!). I came to realize many years ago that NOT EVERY WORD in a book is equally important. I also noticed that once I got what I wanted from a book, I couldn’t find a good reason to finish it. “Have you read this book?” they ask. “Even better, I plundered it.” I answer. This leads to a conversation about how pirates would go onto a ship and remove the treasures and leave the junk. That is what I aim to do with a book. I want to grab the treasure and leave the junk. Now, sometimes that means I read a book SEVERAL TIMES in order to plunder it. Sometimes the treasure is dense in a chapter or two, so I plunder again until I get every gem. I think this approach to reading allows me to understand and recall a lot more than most folks because I’m not wading through a cargo hold of salty water and ruined packages. We Start Books & Don’t Finish Them…Why? So, I’m sitting here at my desk and I’m looking around my office of about 1400 books (another few thousand) are in the garage in boxes (yes, it is possible that I have an addiction). It’s all much neater now! How Do You Grow A Good Reader? As one who spends a good bit of my time promoting writing (see The Writing Course), you might wonder about the connection. Well, there isn’t much of a mystery; the more we read, the more possibilities for writing! I realize that there are plenty of readers who never write, but it is rare to find a writer who never reads…in fact, it may be impossible. Really, it’s all about learning to love words and ideas, and how these two transform thoughts, touch emotions, and tutor actions. Reading is awesome, true? *Review or Retake a good phonics course. No time to explain it here, but this is often the issue. For a variety of reasons some kids just don’t quickly crack the code on reading. Phonics is the code. *At least for a few weeks, have your child read out loud for 10 minutes a day and then explain or recount what they just read. This exercise alone will show you what’s up with your reader, AND LIKELY it will connect the reading brain to your child’s soul. *Read interesting books to your children and stop every 10 to 15 minutes to have them explain what you read (see above). Getting fascinated with good books often starts here. *Get them tested. I’m not really that big on testing, but there are times you might need a baseline to measure improvement and target weaknesses. This will not be your ‘always’ pattern, but early on in independent reading it is vital that children enjoy WHAT they are reading in order to enjoy THE ACT of reading. Usually books don’t start out interesting or ‘fun’ because it takes a bit to ‘get into’ the book. Once a child is a reader, almost every book will be interesting enough to read. Though there are different interests, there is a bit of wisdom in public/historical opinion. The books that have been tried-and-true are the ones we often call classics. Have your child read those especially. Every now and again I’d go to the bookstore and let every child pick out a book for themselves to own for their own library (there was a price limit!). They loved this and learned to look for books they REALLY WANTED to read. If that’s too costly just now, go to the library and borrow a book they pick out because it sounds fun or interesting. ‘Do as I say and not as I do’ just simply won’t work. Find something you’d enjoy and read it alongside the kids (or some other way which is noticeable). Most of you won’t do this, but I honestly don’t know of anything that improves skill and confidence in reading like this approach. Here’s Why: A large part of the problem children have in reading is that they simply aren’t reading fast enough with the focus real reading requires. They read a word or two and look around…then they read another word or two and look at the clock…all the while thinking the book is boring. The cure is FOCUS…and…the major cause of focus is LIMITS. Here’s What: Create the number of pages AND a time limit for what the child will read for school. Obviously this is easier for homeschoolers, but everyone can set up a 30 minute reading session. Our kids had two 1 hour reading sessions a day for school, but that was us. Having a reading goal of the number of pages AND the time limit generates motivation and focus. It also gets the child ‘into’ the book. Haven’t you looked at your watch and also noticed that you could end a chapter in a few more pages? Did you then focus and read to get to that stopping place? Here’s How: You simply need to calculate the reading speed of your child for that book. Often you’ll adjust as you see what they can do, but close enough is close enough. A. Have your child read for one minute and mark how far he made it. B. Count the words in the first three lines of a page in the book and divide by three (this gives you the average number of words per line). C. Multiply the number of lines your child reads in 1 minute by the average number of words in a line (#2 above). This is how many words your child can read in a minute in that book. D. Finally, count the number of lines on an average page and multiply by the number of words in a line (#2 above). Now you know the Words Per Page and how many words your child can read in a minute…which should give you a good idea of how far she can read in 30 minutes. See how far your student reads in a minute and guess how far 30x would take them in the book, then use that stopping point (page number). Have your child keep a simple chart of # of pages and how much time it took. Frankly, if you do nothing but this chart you’ll see reading improve, especially if you put the chart on the refrigerator. 7. Get your student writing! There is a strange power that takes over when we write. Suddenly we start looking at books differently. We see why somethings work and why others things do not. We even begin to say, “I would have written the story this way instead.” Writing has a way of calling us to be good readers. Honestly, just a little writing every day can change your student’s life forever. Now, if you find a better path, then go for it. Honestly, we know this worked with our 5 children, who are all continuous readers as adults. In this 6 Part series Dr. & Mrs. Lybrand share how they approached homeschooling their 5 children all the way to college based on a philosophy of teaching them 'to learn how to learn' as the essential goal of education.